At Dickinson, majors are introduced to the many dimensions of theatre and dance—technical, performance, historical, theoretical, cross-cultural—while they focus on one area of particular interest. Majors may choose from four pre-approved clusters within the program—acting/directing, dance, design/technology and dramatic literature—or they may, with faculty approval, create their own cluster. 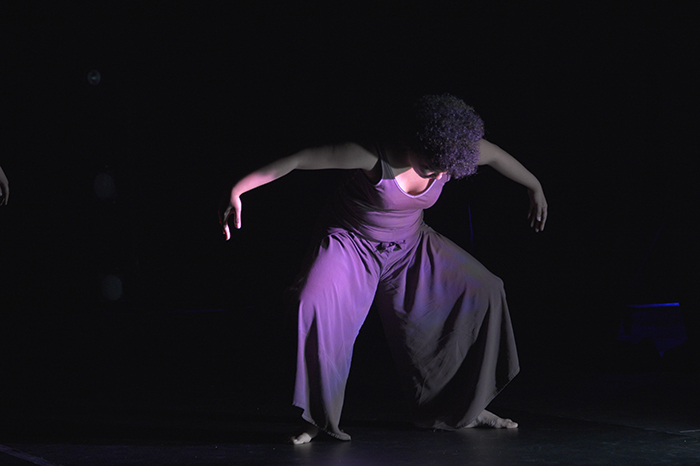 Faculty members oversee an extensive schedule of dance and theatre performances throughout the year, in which both majors and nonmajors participate. This is the ideal setting for a student with interest and talent in theatre or dance who also wants a broad liberal-arts education. An inter-arts major in dance and music in conjunction with the music department is also available. Join the Dickinson Theatre and Dance mailing list! Dickinson’s Department of Theatre & Dance and the Dance Theatre Group present an evening of new choreographic research.